"From making Ramadan paper lanterns, to drawing crescent moons and stars on the walls, and far more, you can quickly get your house prepared for the Ramadan quality. Check out these easy DIY and tips to set your home with Ramadan decorations. Everyone will undoubtedly love accepting the Ramadan vibes!" 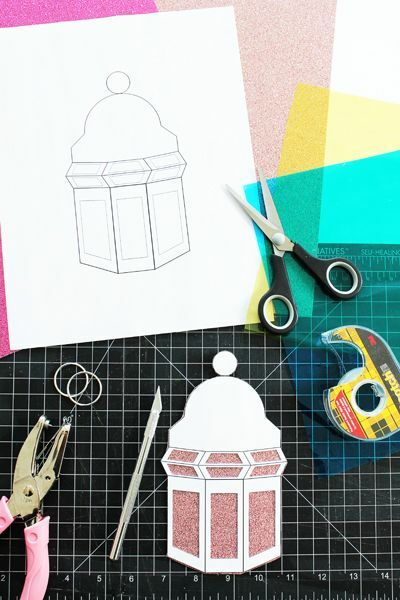 You will be cutting out the middle of the lantern template in the next step, so for this step, put a little bit of double sided tape in the middle section of your lantern template to help hold it down. 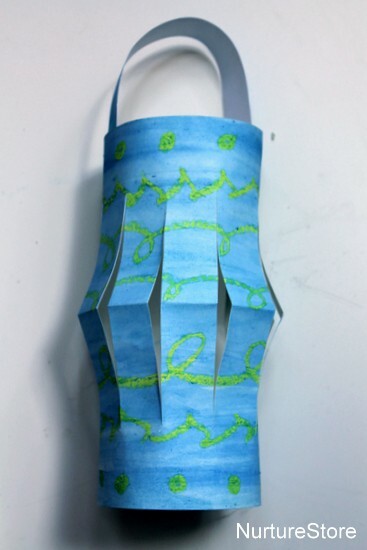 We found our lantern template on Martha Stewart, but you can also make your own. Make sure you draw a tab on the side. Cut all four lantern sides out of the black paper at the same time.